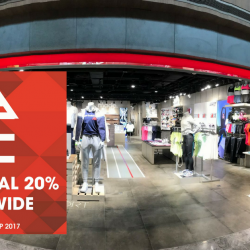 Get an early start on shopping and head on to New Balance (#02-21) at their Friends and Family Special starting tomorrow till 6 May. 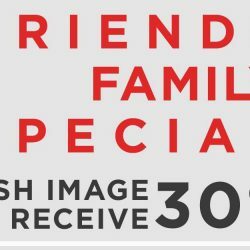 Flash image to receive 30% OFF! Terms and conditions apply. Do check in-store for more details. Get your sneaker and apparel fix with a massive discount up to 75% off at New Balance Warehouse Sale! 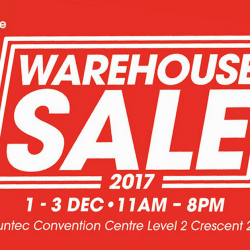 Drop by Suntec Convention Centre (Level 2, Crescent 2) from 1 Dec to 3 Dec! Footwear starts from $50 and apparel from $12! Shop your favourite New Balance sneaker samples on sale - exclusively available with 1 size/pair per style. Global athletic leader, New Balance, will be opening its newest store at Paragon, Singapore! The store, located at Paragon #04-13/14, showcases the brand’s manifestation towards innovation as it brings about a progressive new look, taking cue from the contemporary urban lifestyle while staying true to its 110-year heritage and legacy. Marking its mark on the digital front, New Balance also equipped its newest store with the latest in technological innovation – the Stride I.D and Stride I.D Track system. This new technology will allow customers to make more informed decisions when choosing a suitable pair of New Balance shoes to ensure maximum comfort and reduce the chances of running injuries. 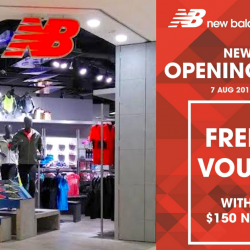 To further commemorate the launch, New Balance is giving out $40 vouchers with every $150 nett spent at the Paragon store. 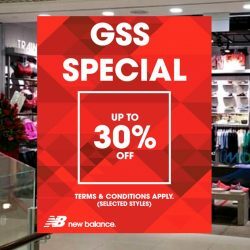 The promotion will commence from 7 Aug – 31 Aug.
From 27 May till 30 June, enjoy up to 30% off* on selected styles at New Balance for their GSS Special! 2015 is nearly over! 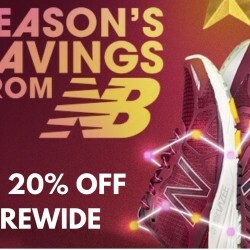 Set a Get Fit resolution for the new year with New Balance's Year End Sale of up to 20% storewide! 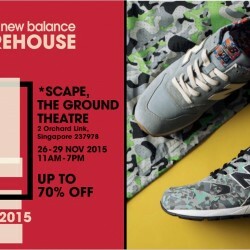 Happening at all New Balance Experience Stores from 21 Dec 2015 to 3 Jan 2016. 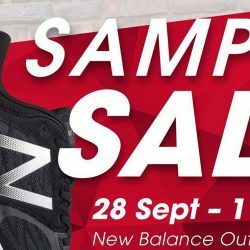 New Balance Warehouse Sale is coming this weekend! Do drop by at *Scape, The Ground Theatre and have your early Christmas shopping! New Balance shoes are famous for their comfort and stability so head down and get their shoes and other sports apparel at up to 70% off from 26 to 29 November 2015! Cool workout gear can inspire you to get out and work that body on a drab day. If you dread exercising as much as me, the colourful shoes and apparel can help to give you a push towards starting that path to fitness. Of course, functionality is important as well, looks won’t get you that far (applies to humans as well if you are being philosophical). Enjoy 10% off regular-priced items with min. 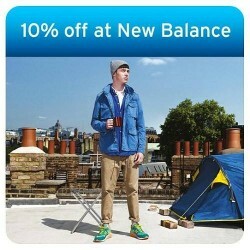 $20 spend at New Balance on your Citibank Credit Cards. Citibank Clear Platinum Cardmembers, get an extra 5% off your total purchase. The Promotions just keep coming! 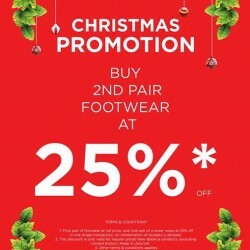 This Christmas season, buy your second pair of footwear at 25% off! * Come on down to NB Experience Stores now! 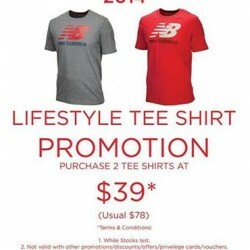 New Balance is having a Lifestyle Tee Shirt Promotion from now till 5 Jan 2015. Purchase 2 Tee Shirts at $39 (usual $79) only. 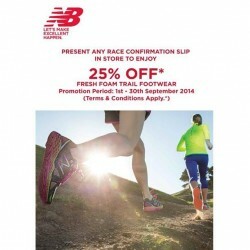 Runners all round, 5 more days till the New Balance foam trail footwear promotion ends! You guys looked stoked at The Color Run last weekend! The joy doesn't end there! 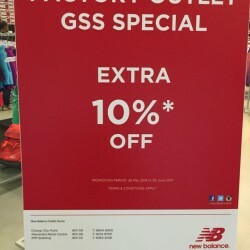 Promo from New Balance is still on till the 30th of September! 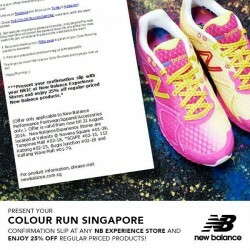 For those who have signed up for The Color Run Singapore, you can get 25% off regular priced items at any New Balance Experience store by simply printing out your confirmation slip and presenting it at the counter! Promotion valid till 1 Sept. 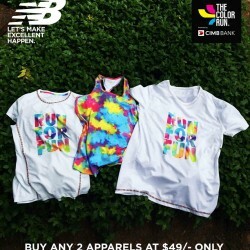 In conjunction with the coming event- The color run in August, New Balance is offering a free bandana with any TCR fresh foam footwear purchase. Also, enjoy special buy 2 apparels at $49 only at all Experience Stores!